Welcome to the EP Dragon's Crown thread! Storyteller Pack Free until the end of the month Can be unlocked in-game. Gameplay Stability has been stabilized under certain conditions. 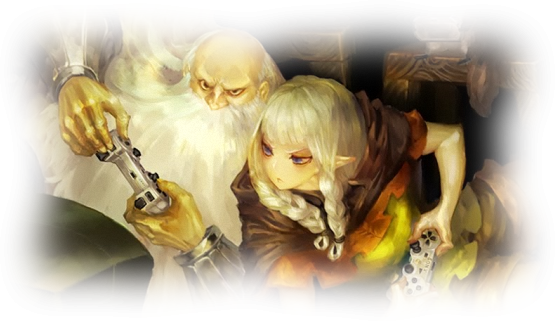 Cross-Play capability has been added to allow matching of online games between users of the PlayStation 3 and PlayStation Vita versions of Dragon's Crown for both Cooperative and Versus play. An option to lock items to prevent them from being accidentally sold or added to deleted has been added. An option has been added to Game Options 2 to allow or disable NPC joining. Other tuning and minor improvements to various gameplay elements have made. Online network connection stability has been improved. An option to hide the triangular character marker has been added. In the Game Options 2 menu, you can choose to have it displayed for selected characters/all characters/no characters. An option to display damage values only for controlled characters has been added. Amazon/Fighter: Equipment durability takes less damage when guarding. Amazon: Balance adjustments have been made to the Berserk effect. Stabilized network connectivity during online gameplay. Hidden items can now be uncovered by simply moving the finger cursor over their location. The item hotkeys can now also be accessed by holding the L1 Button (PS3)/L Button (PSVita). Dagger and Bomb items can now be thrown diagonally by pressing Up on the Left Stick ↑ + △ button. An option to fix all items at once in your bags has been added to Morgan's Magic Item Shop. In the Options Menu, you can now select the area you wish to be matched in for online play. Arrow drops will increase according to how many Elf characters are in the party. The visibility of inventory Runes while the player is near the bottom of the screen has been improved. Click the characters bellow to see them in action! You might as well link to the purchase link for the actual game too while you're at it. I'll probably buy the game this Thursday when I get paid! (06/08/2013 03:48 PM)eKusoshisut0 Wrote: You might as well link to the purchase link for the actual game too while you're at it. Be careful, they're barely in stock and supposedly it's going to be a limited release. Playing as Elf, still going through the B routes and talismans. Wait, is the game cross buy or not? (06/08/2013 08:33 PM)TatsuyaXD Wrote: Wait, is the game cross buy or not? Nope. Nor is it cross play.